With the new MINIONS movie out in theaters now, kids are falling in love with these little banana eating characters all over again. 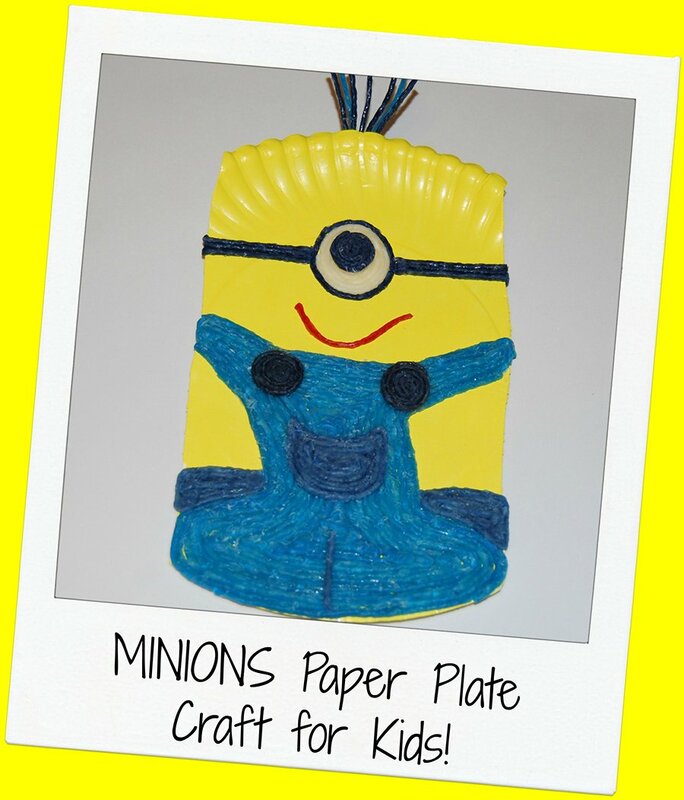 Kids will have fun creating the Wikki Stix MINIONS paper plate crafts! They are adorable crafts for summer make-n-take activities, birthday parties, or for displays at home! Invite the children to create by placing all the supplies on a table. With scissors, the children should cut the paper plate (vertically) on both sides of the inner circle to create a Minion shape. 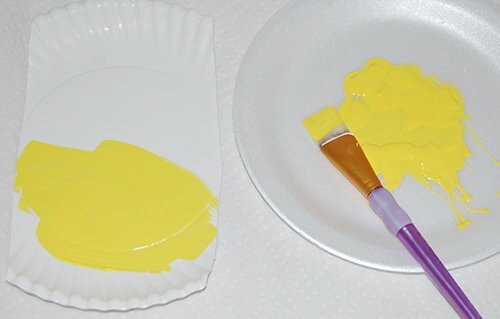 When finished cutting the paper plate, the children can paint the entire shape with the yellow paint. Allow the paint to dry thoroughly before creating the Wikki Stix Minion features. 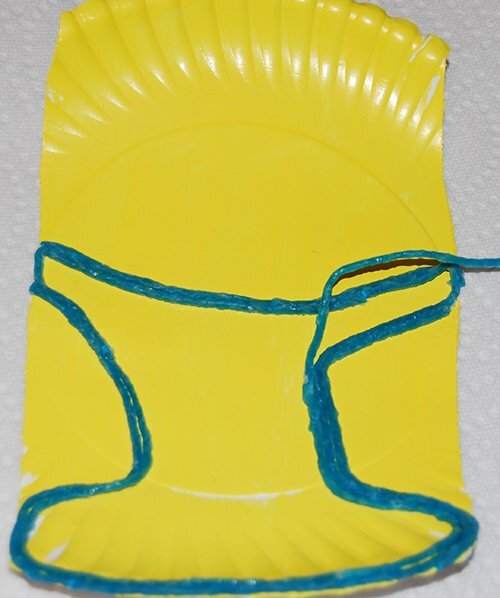 To create the denim overalls for the Minions, invite the children to use blue Wikki Stix and make an overall pattern (see photo above) on the painted paper plate. There is no right or wrong way to create the overalls. 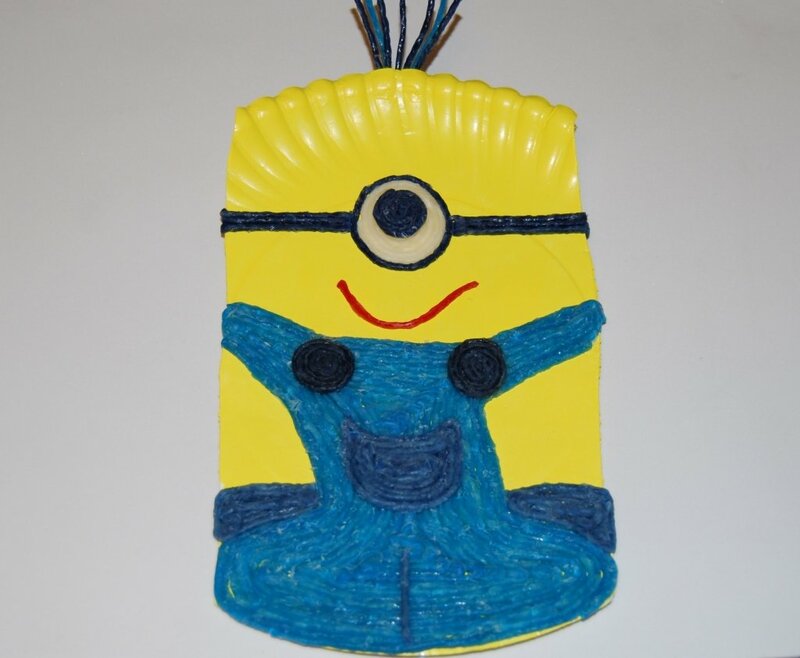 Each Minion craft can be as individual as the children who create it! Have the children use additional blue Wikki Stix to fill in the overall design (the children can place blue Wikki Stix inside the original outline and follow that outline until the overalls are filled in and no yellow paint is showing). Older kids can add a Wikki Stix center pocket, side pockets, and overall buttons to the basic overall design if desired. MINION EYES: The eye for the Minion craft is created with 4 white Wikki Stix. Wrap one white Wikki Stix strand around itself to form a tight pinwheel. 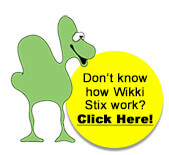 Wrap the 3 additional white Wikki Stix (one at a time) around the initial pinwheel until the large white eye is formed. The center of the Minion’s eye is created with 2 black Wikki Stix formed into a tight pinwheel (spiral). MINION GLASSES: The glasses are easy to create with Wikki Stix. Simply wrap one Wikki Stix around the white part of the eye and then lay 3 black Wikki Stix on each side of the eye. Have the children cut off the remaining portion that extends past the side of the paper plate. MINION HAIRDO: The various Minion hairstyles are easy to create with Wikki Stix! Have the kids cut small pieces of black or dark blue Wikki Stix and stick to the paper plate. MINION MOUTHS: Using red or black Wikki Stix, invite the children to create any of the various Minion expressions. 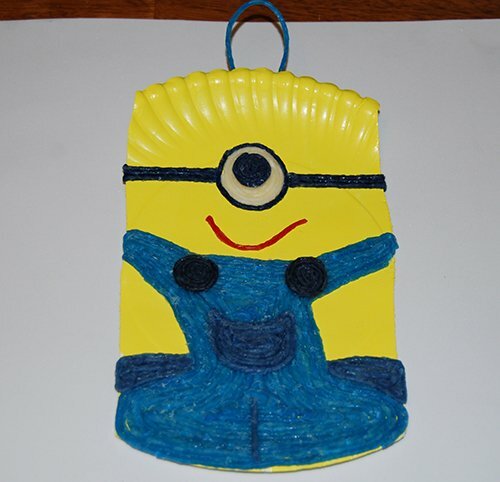 To display the Minion crafts, make a loop with one Wikki Stix and stick the ends of the loop behind the paper plate.